The Living Kitchen is the show where real food, food intolerances and preparedness become a sustainable lifestyle. 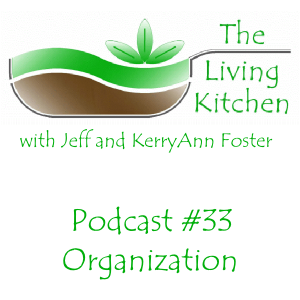 This week on The Living Kitchen, KerryAnn and Jeff discuss how to organize your preps. The first part in a series, they discuss how to make room for preps and how to organize if you have one room or a portion of a room to devote to your food storage.